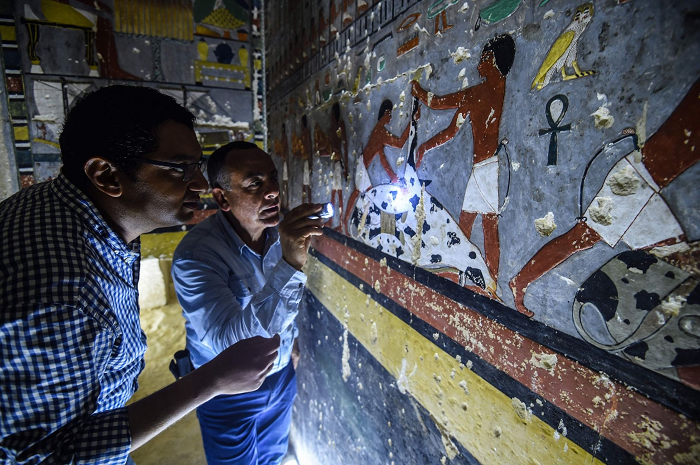 Home Travel Newly Discovered Egyptian Tomb Is The Gateway To 4,300-Year-Old Secrets! I’m sure you can relate when I say that we have all dreaded the thought of studying history throughout our school years. But the older we get, we are somehow fascinated by the interesting facts, stunning architecture, and eye-popping art amongst the numerous other things that have been left behind. 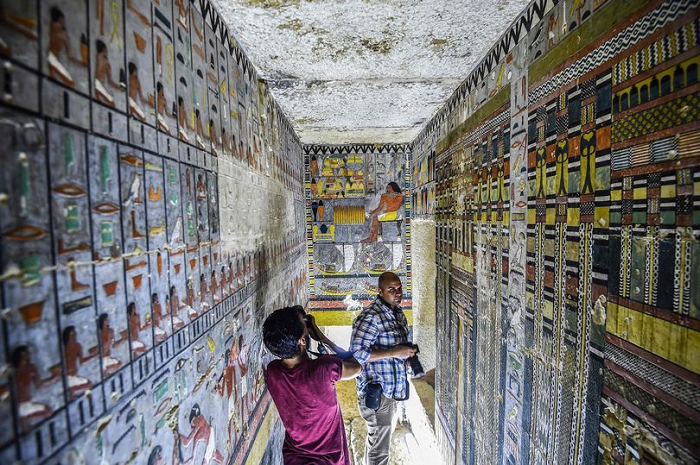 The place is home to a large number of tombs and pyramids of Egypt. 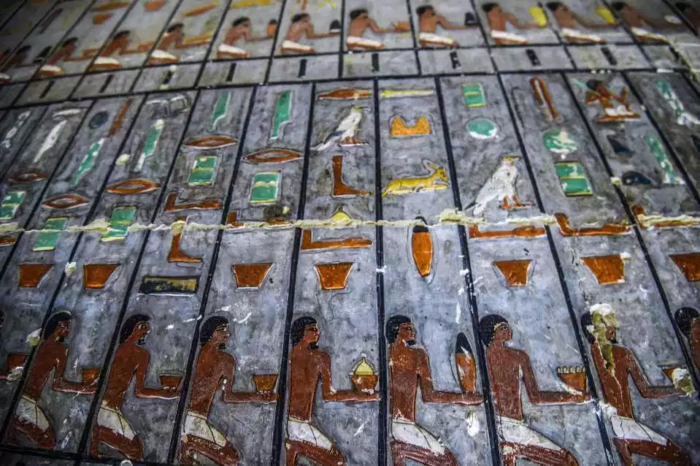 According to reports, the tomb belongs to an official named Khuwy, a nobleman from the Fifth Dynasty which ruled over Egypt 4,300 years ago. 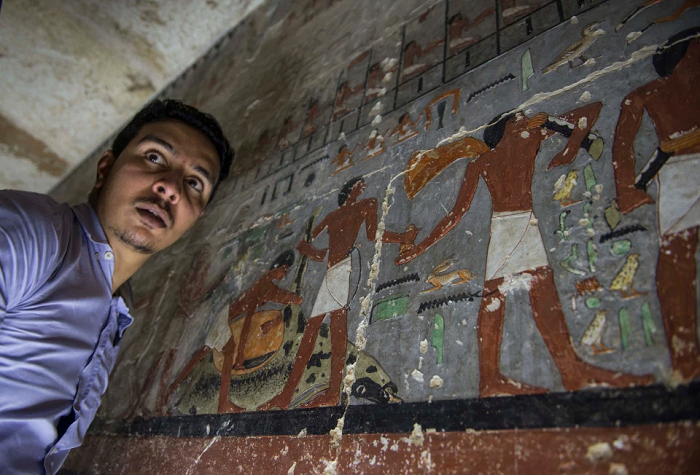 Discovered by archaeologists last month, the L-Shaped tomb is filled with fascinating artwork. The colourful illustrations which have survived for centuries are said to be done with oil and resin. The walls are made out of limestone and the artwork has the potential to shed some light on the history of that time. Sources reveal that the oils which are used in the artwork were only reserved for the royalty. The paintings show men in boats, servants bringing food and drinks, and birds, with decorative borders outlining them. 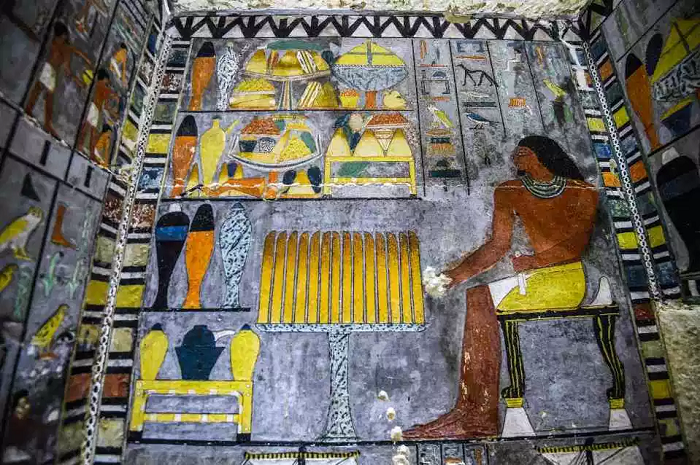 Khuwy, the owner of the tomb, is featured in one of the paintings where he is seen seated and making offerings to the gods. You can see the plates of food piled above. 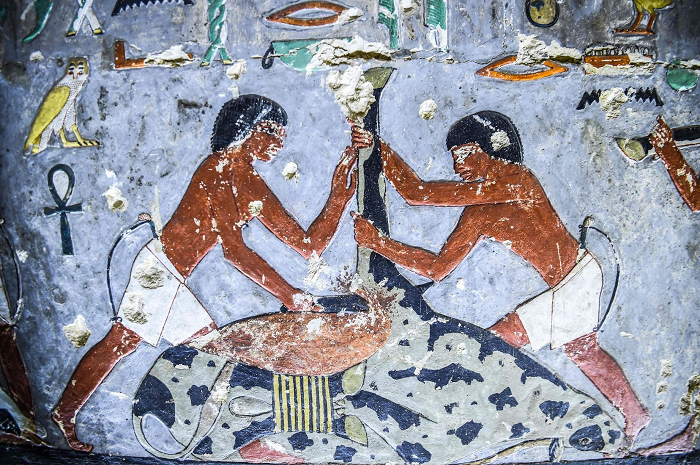 Another painting depicts two men chopping a cow, probably for a meal. The inscriptions are supposedly inspired by the nearby Giza pyramids. It’s mesmerizing how history keeps surprising us time and again!